Nigerian striker Osaze Odemwingie fired blanks for Madura United who were held to a 1-1 home draw by Persija Jakarta in the Indonesian top flight on Monday. 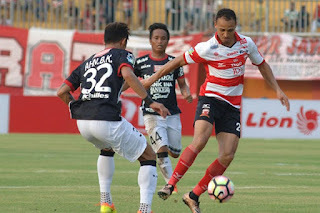 But five minutes later, William Pacheco equalised for Persija Jakarta to earn a share of the points for his team. The draw took Madura United to third on 36 points in the 18-team Indonesian league table.